Our practice proudly serves Evansville, Indiana and the Tri-State area with a tradition of quality service and a friendly, knowledgeable staff. 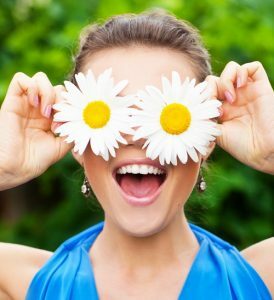 Taking care of your eyes involves much more than confirming your prescription for eyeglasses or contact lenses. Whether you’re a young child learning to read, an adult in excellent physical condition, or a golden-ager who’s interested in staying vibrant and independent, regular eye examinations are imperative. A close inspection of your eyes provides doctors with a good look at both your vision and your overall health. 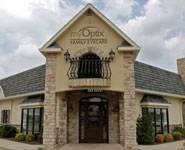 At MyOptix Family Eye Care, our team of experienced, professional doctors will ensure that you receive top service for all of your ocular needs. All of our optometrists, Dr. Paul Hardesty, Dr. Andrew Sharp and Dr. Kera Zint, will provide you with comprehensive eye examinations, skilled advice, treatment options and follow-up maintenance. Upon your visit to our office in Evansville, we will pay attention to your individual requirements, taking the time to communicate and get to know you personally. We offer an extensive selection of attractive frames and eyewear, as well as a full range of contact lenses. 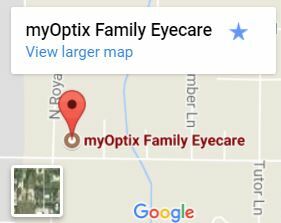 Located conveniently to serve Indiana’s Tri-State area, we are always pleased to meet new patients and treat all of our existing patients. There are 2 basic types of Age-Related Macular Degeneration, the wet form and the dry form. Find out more detailed info on our site. Check Out Our Oakley, Ray Ban and Tory Burch Collections ! Each frame in the Oakley, Ray Ban and Tory Burch collections have a contemporary flair. We provide quality, innovative, stylish eyewear for the discerning man and woman. To see more designer eye frame brands we carry click here.